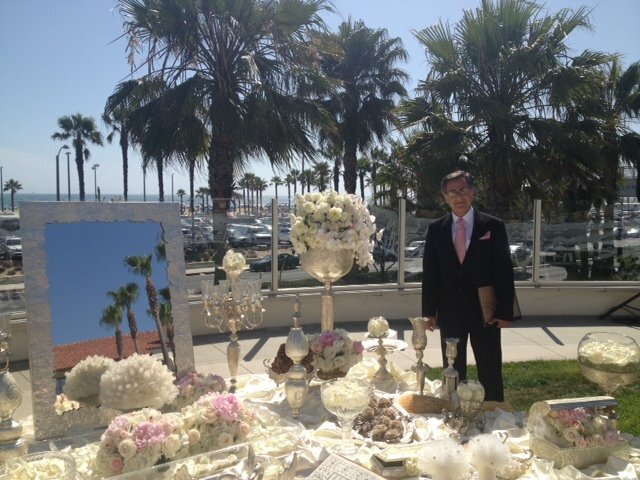 As a bilingual Persian Wedding Officiant in Los Angeles, Orange County and surrounding cities , I have had the honor to unite together in holy matrimony many dear couples whose weddings were delightful and memorable. I enjoy being a part of the celebration marking the unity of two devoted individuals. 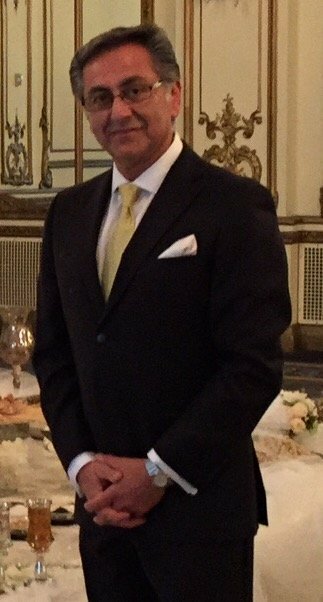 I am an educated professional man with a good sense of humor and I provide a very thoughtful and caring touch in everything I do. 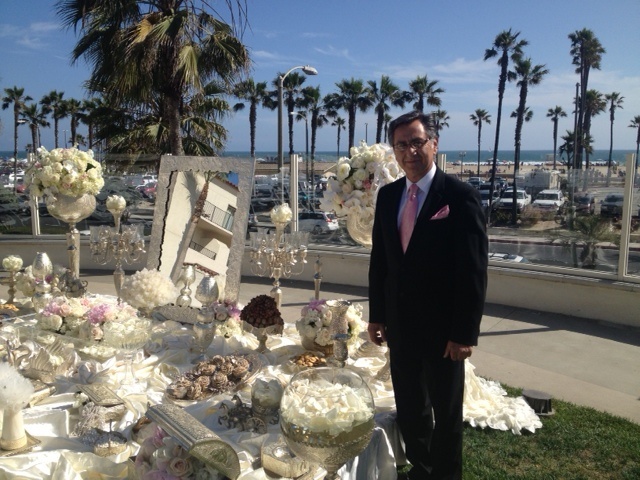 I’m an authorized officiant by the State of California and my services are provided throughout Southern California. I am willing to travel as well. 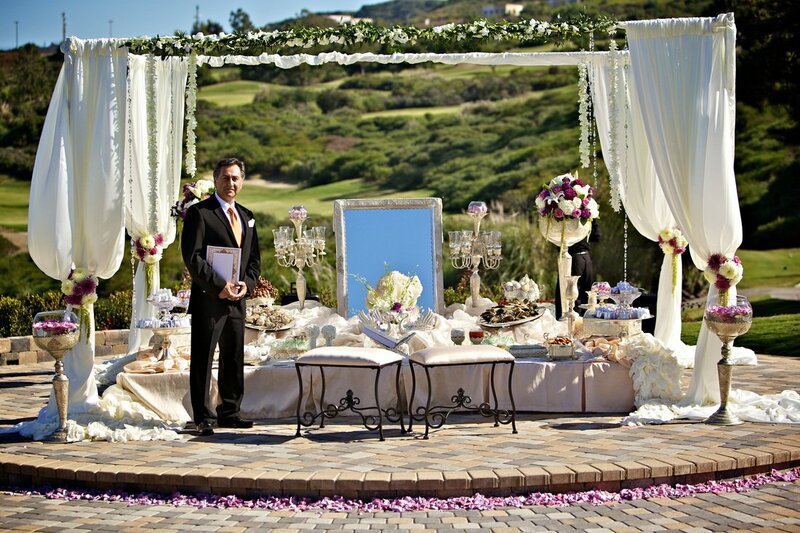 This is my passion, I am humbled and greatly honored to be a part of the sanctity of your beautiful day. 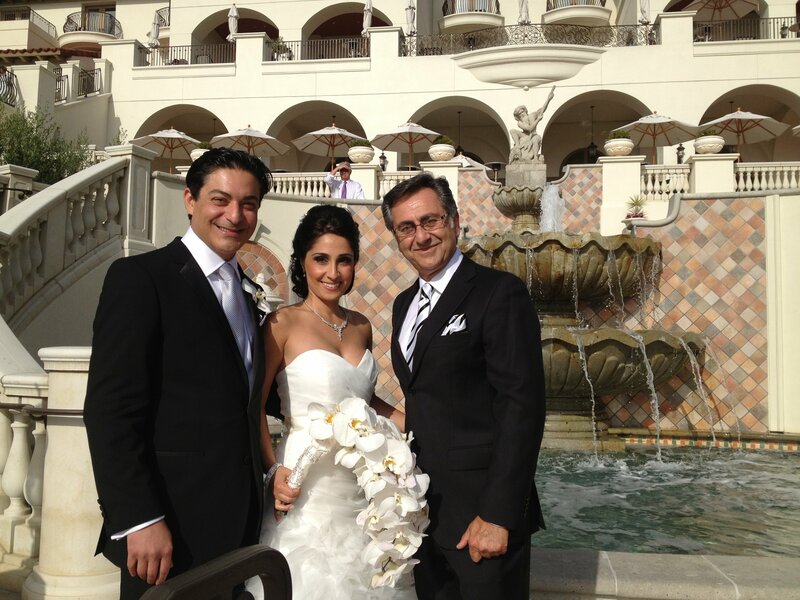 Marriage is the unifying of a couple in what will be a sacred bond of a lifetime. 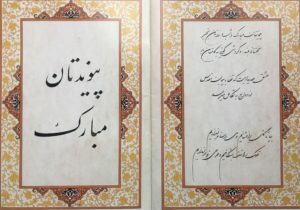 As part of my service, I will also present to the couple an authorized beautiful Aghd Nameh (Persian Marriage Certificate) in Persian Calligraphy to cherish for many generations. 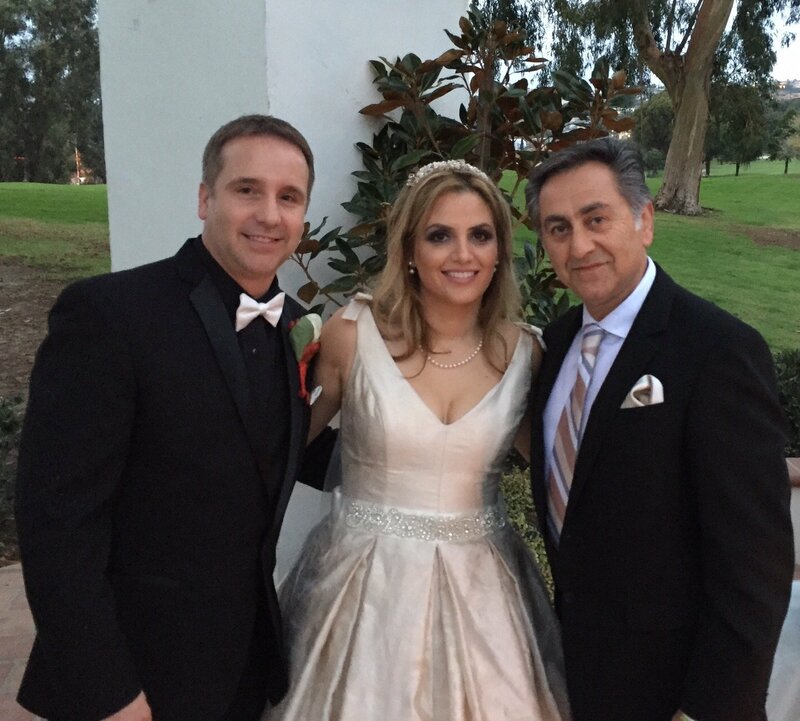 Thank you so much for being our wedding officiant! 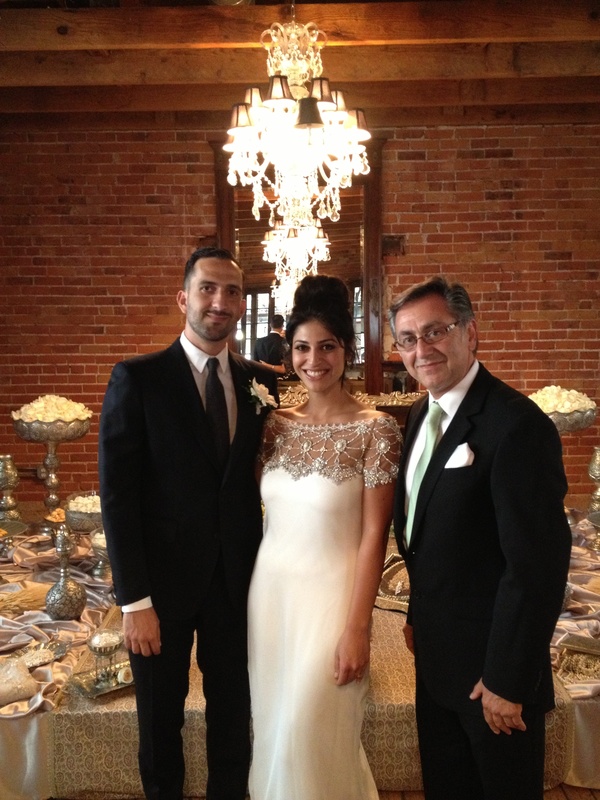 We were blessed to have Mr. Mohtashami as our wedding officiant. 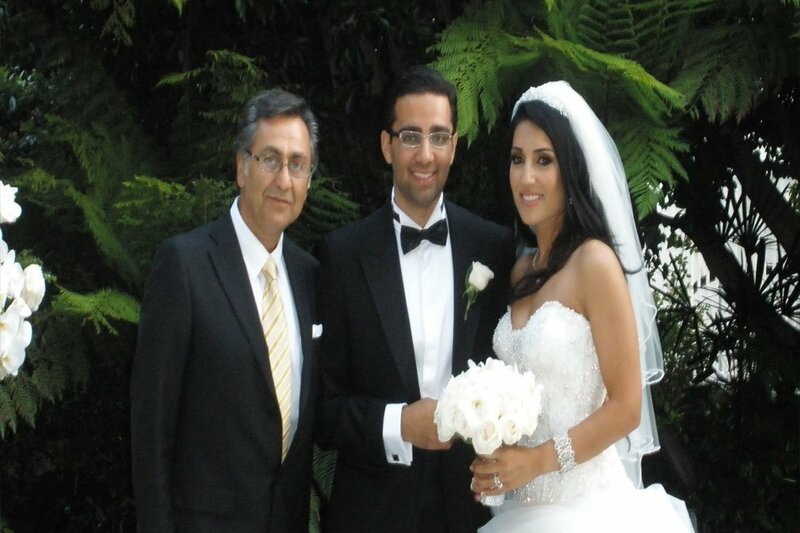 We first heard of Mr. Mohtashami through other brides who spoke highly of Mr. Mohtashami. He has a very warm, charming, and professional approach. He met with my fiancé and me two weeks before the wedding and spent time with us getting to know our personalities and telling us what we can expect. 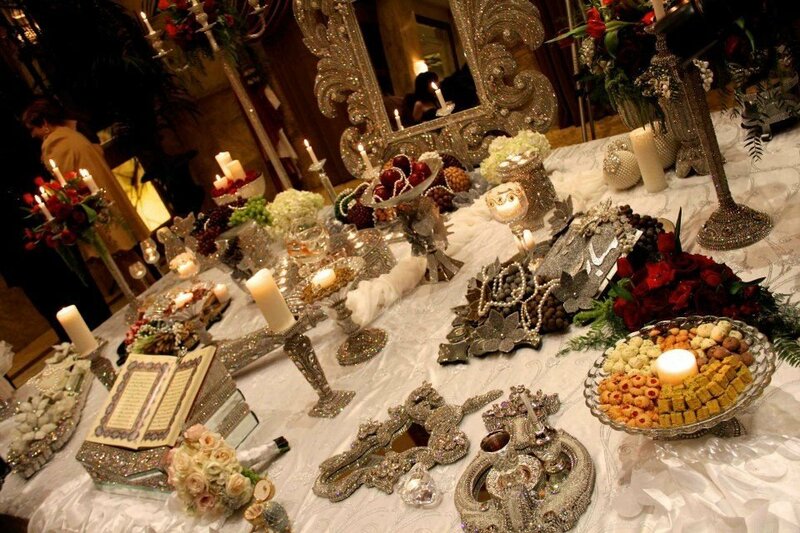 He inquired about what I was expecting for our ceremony and he taught my husband about the Persian culture. 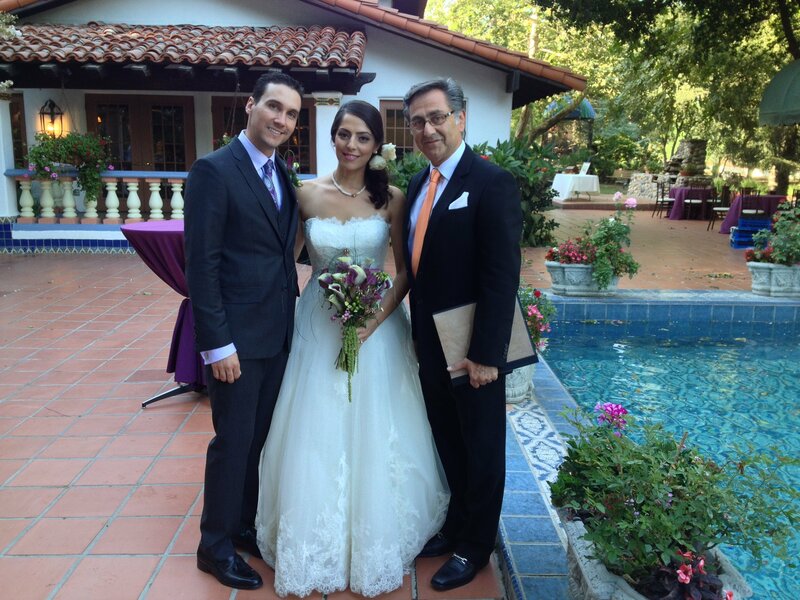 On the day of our wedding, Mr. Mohtashami surprised me by wearing a tie that matched my wedding colors! 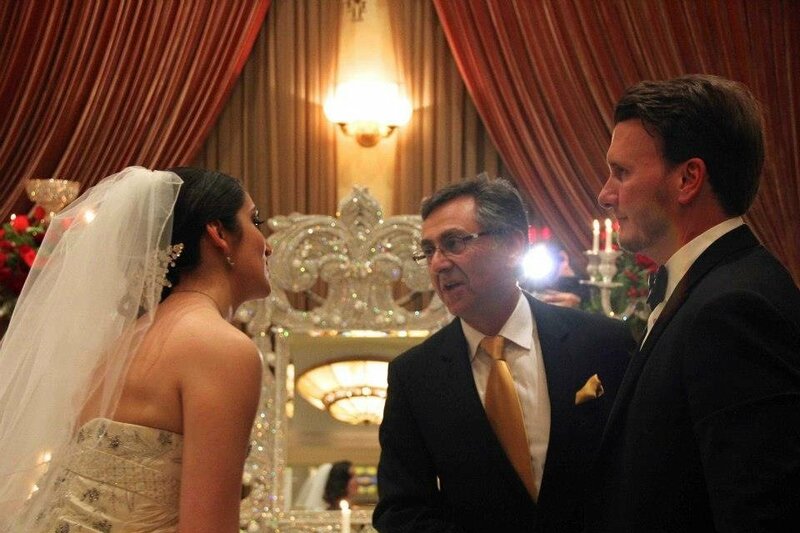 I loved how he takes a personal interest in the bride and groom. 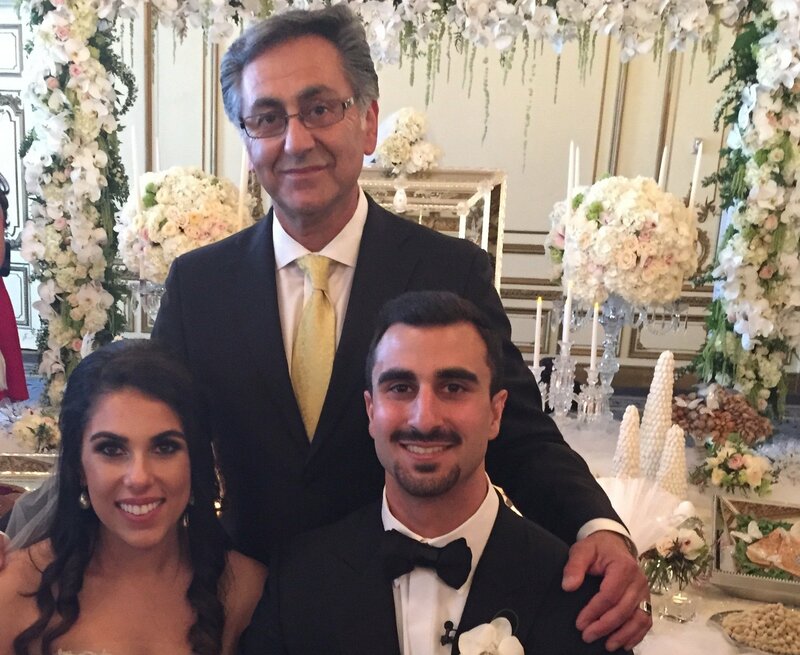 Mr. Mohtashami made the affair touching and personal, therefore my husband and I were able to relax and enjoy the wedding, without any “wedding day jitters.” I love the way he described the details of the ceremony for the non-Farsi speaking people. 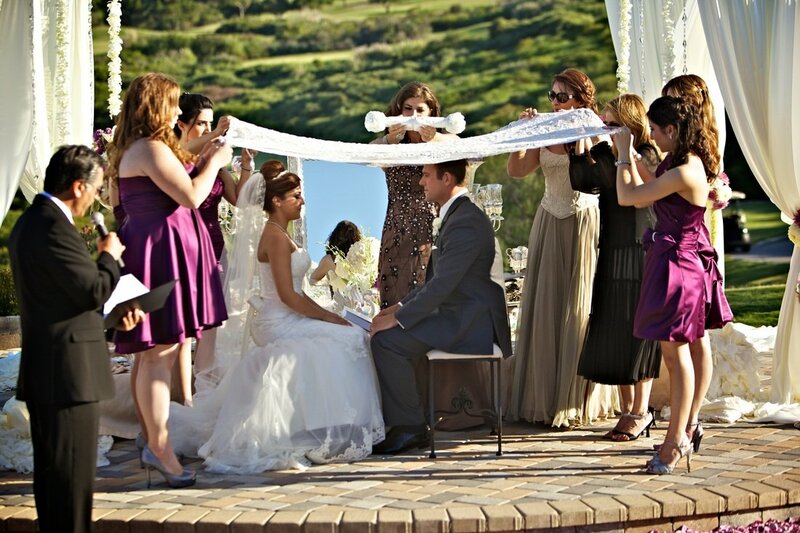 Mr Mohtashami was a very flexible, experienced and passionate wedding officiant. My partner and I were only in Orange County for one day and he found the time to meet with us so that we could get to know him and discuss details. 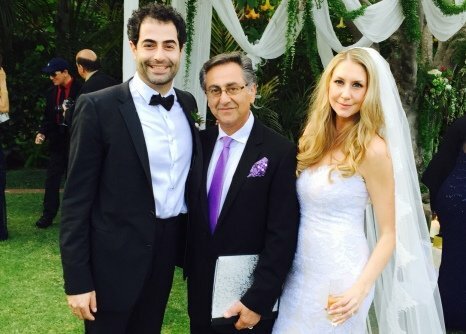 We had a two-part ceremony (American and Persian) and Mr. Mohtashami was kind enough to speak with our American officiant before the wedding in order to make sure things ran smoothly on our special day. 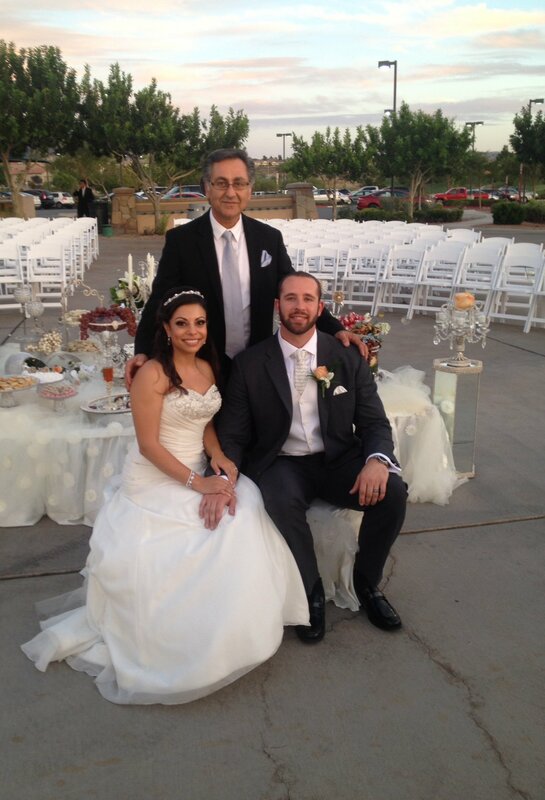 Our friends and family (both Persian AND American) were very impressed with his performance at our ceremony. 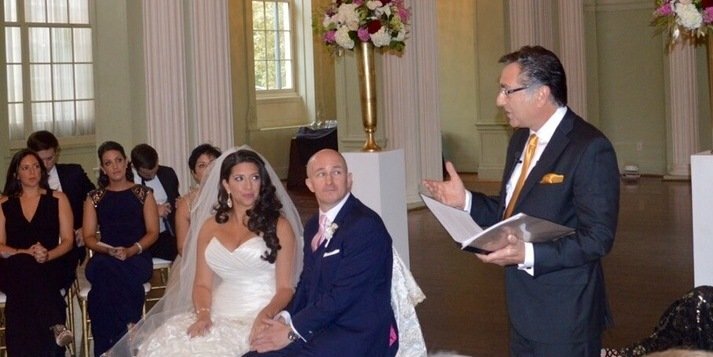 It was great to have an officiant who could do the ceremony in Farsi and English, so that everyone understood what was going on. 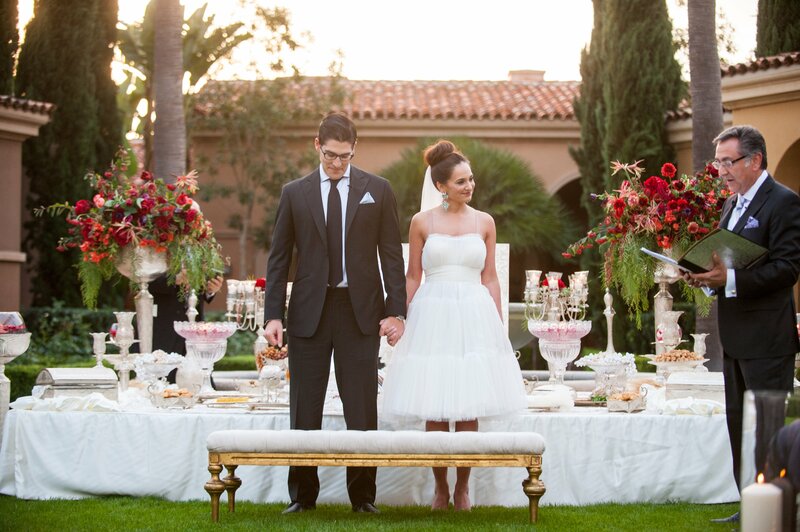 Thank you for making our special day even more special! 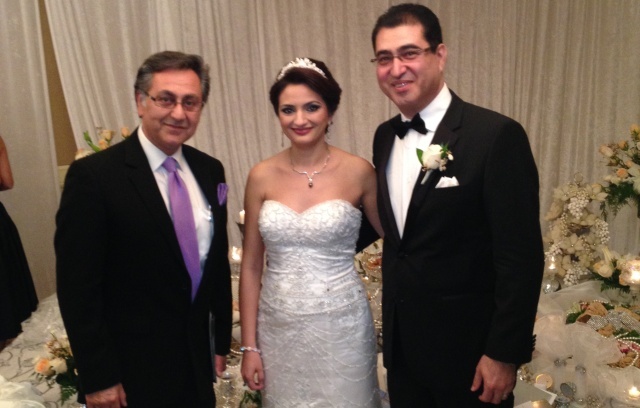 Thanks for helping me and Maryam with the marriage ceremony. I and others were very impressed with the professional performance in two languages, Farsi and English. Your presence the night before, for our bridesmaids was extremely helpful and we appreciate you making the effort to drive a long distance, taking time from your family. You did deliver what you promised and your poems were beautiful. Immediately after our wedding, I had people asking me for your contact number and commented on our wise selection of Officiant(Aghed). 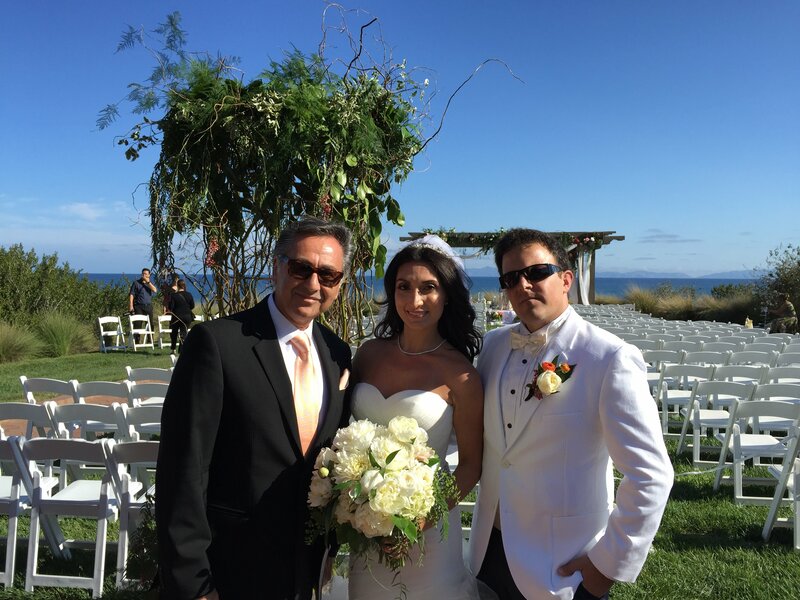 Mr. Mohtashami was a very flexible, experienced and respectful wedding officiant. 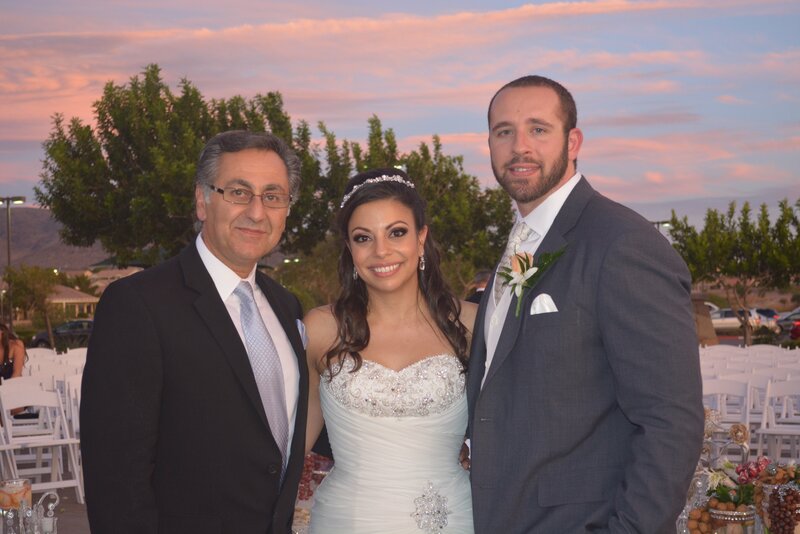 He met with my wife and I before the wedding to get to know us and discuss how he wanted the ceremony to be. 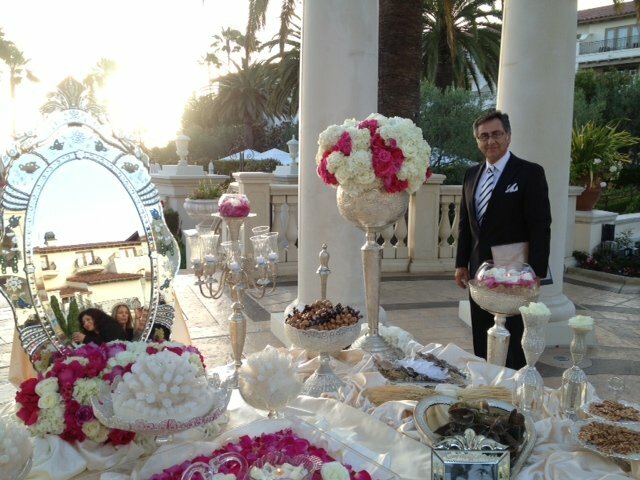 Mr. Mohtashami was readily available during the wedding, helping out where he could. His flexibility was above and beyond in accomodating the traditions of my wife and my family. 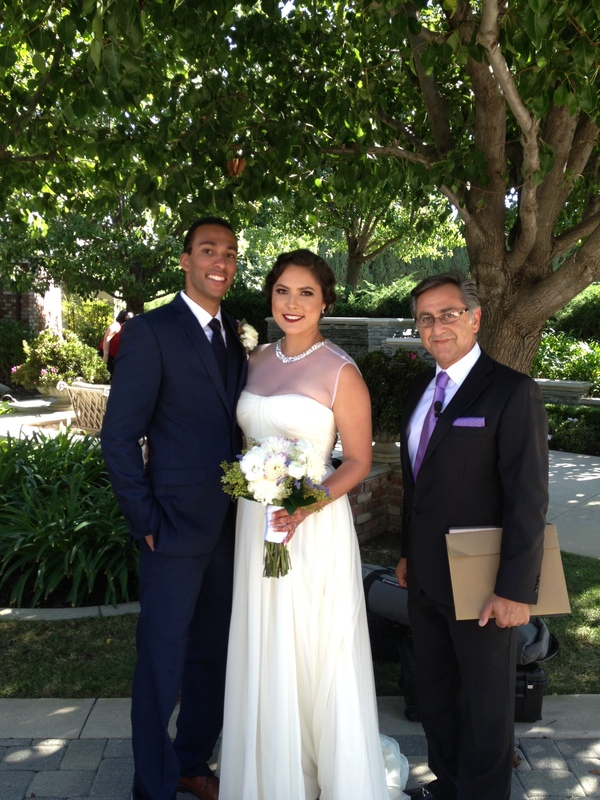 It was a pleasure to have him be a part of our wedding with his easy going attitude that could put anyone at ease. 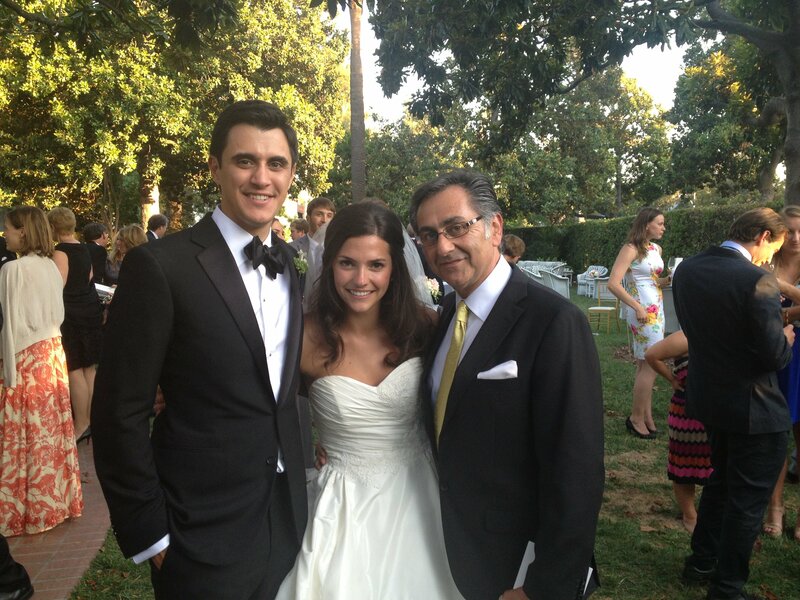 And his flawless performance in Farsi and English throughout the ceremony was amazing. 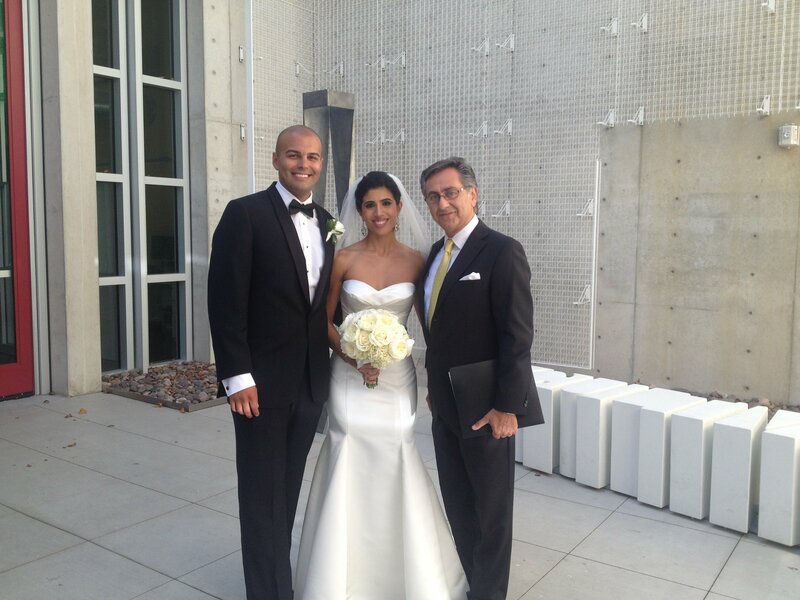 His kind heart and friendliness will make you feel like he is family at the end of any wedding. 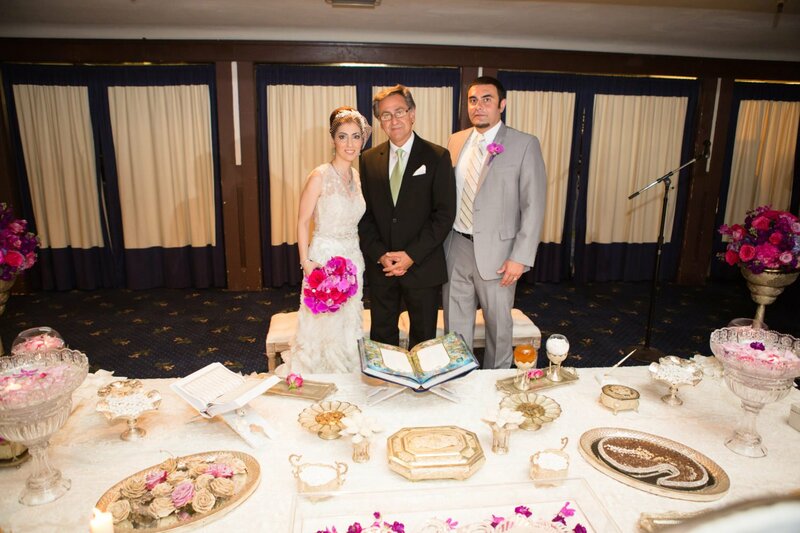 My wife and I were married by Mr. Mohtashami this past August, and he was a wonderful officiant. 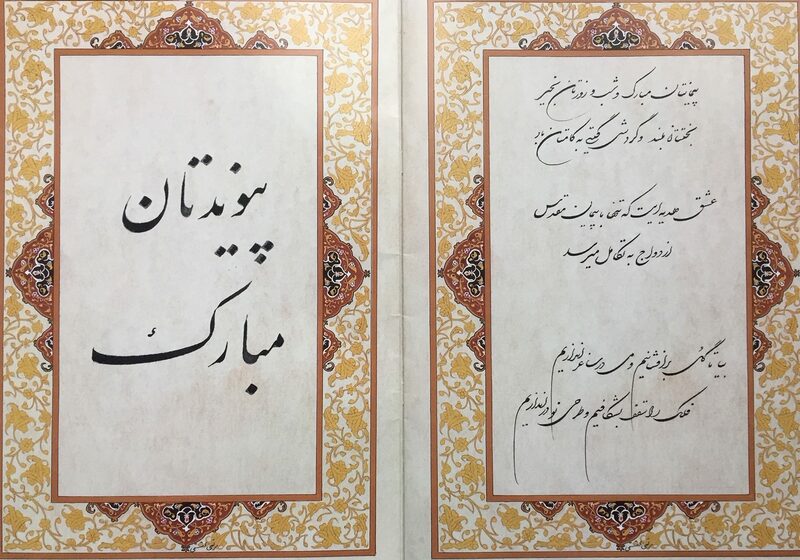 I was concerned as a non-Persian that my family would not be able to fully understand such a culturally different event, but Mr. Mohtashami did a wonderful job explaining everything in Farsi and English without sacrificing the beauty and poetry of the ceremony. 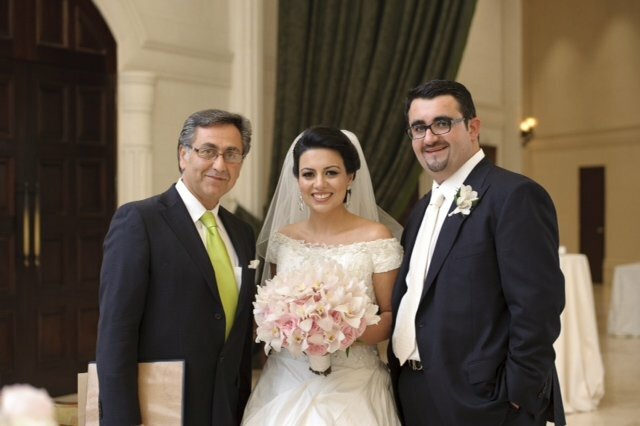 Mr. Mohtashami put my wife and I at ease on our wedding day, helping to calm our nerves throughout the entire ceremony. He was terrific and he has my highest recommendation! 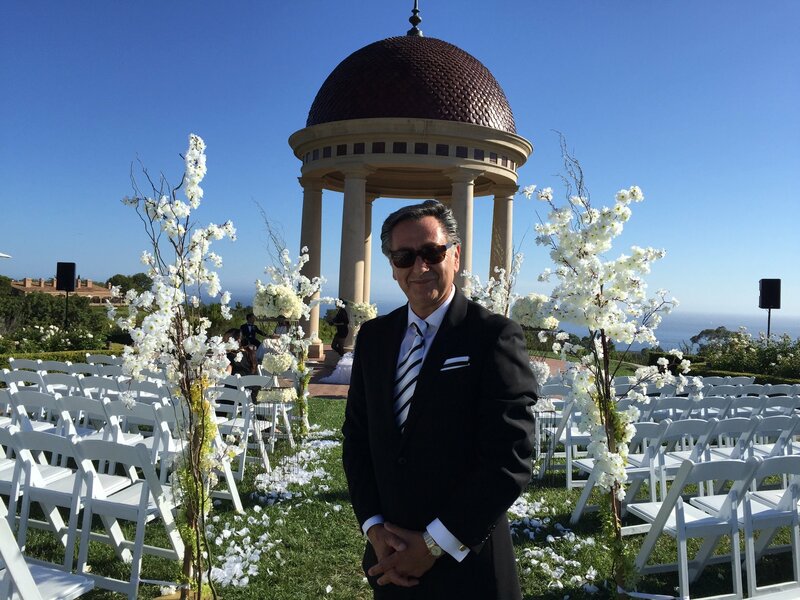 My husband and I looked for a long time to find the perfect officiant and we were so lucky to have found Mr. mohtashami. 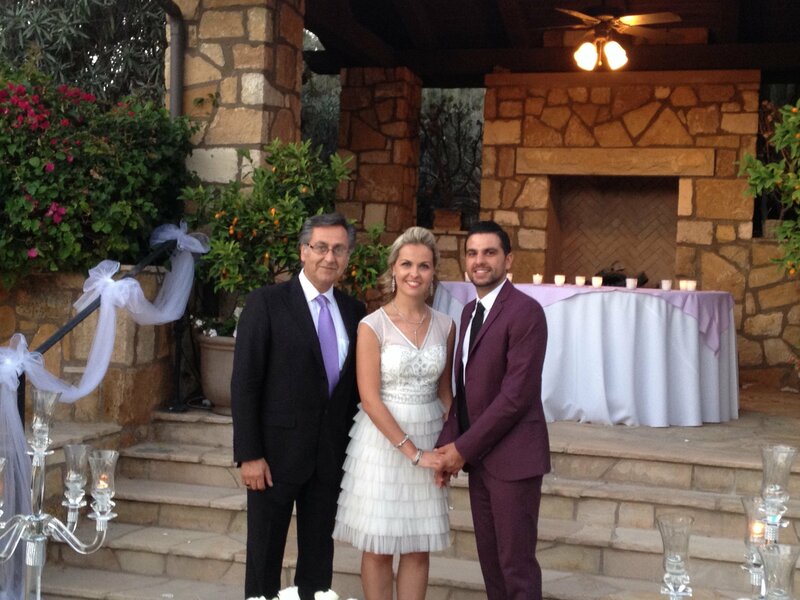 We had both Persian and American guests and he was amazing in conducting the ceremony in both languages. 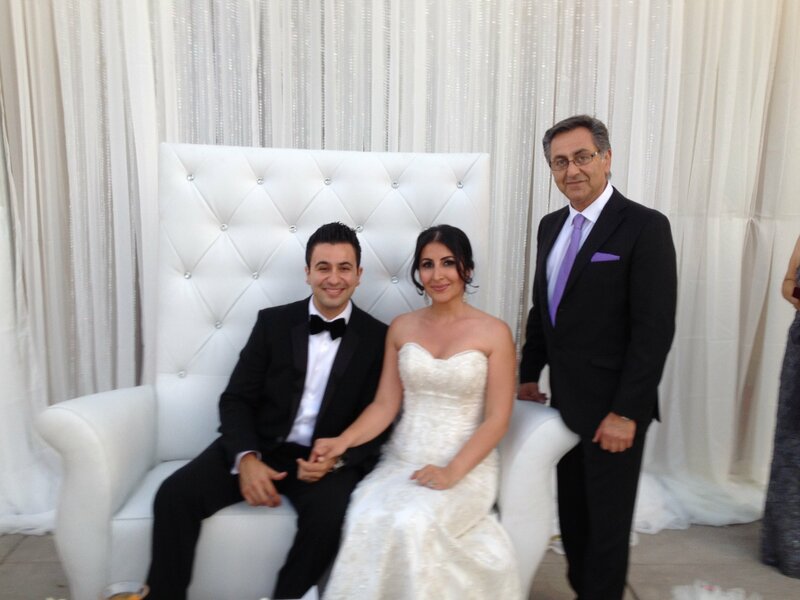 We were very pleased and are forever thankful to Mr. Mohtashami. 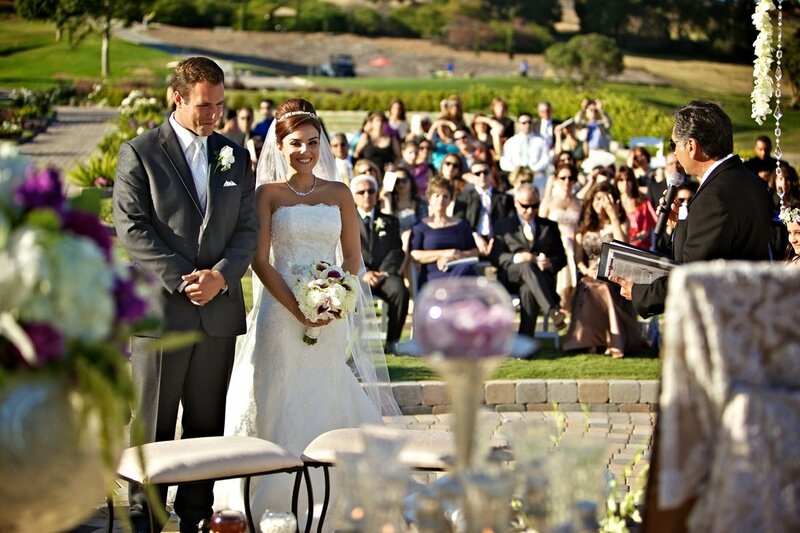 We could not have asked for a better experience for our wedding ceremony. Being that half of my wife’s family does not speak or understand Farsi, we wanted to make sure that the ceremony would be enjoyed by everyone. 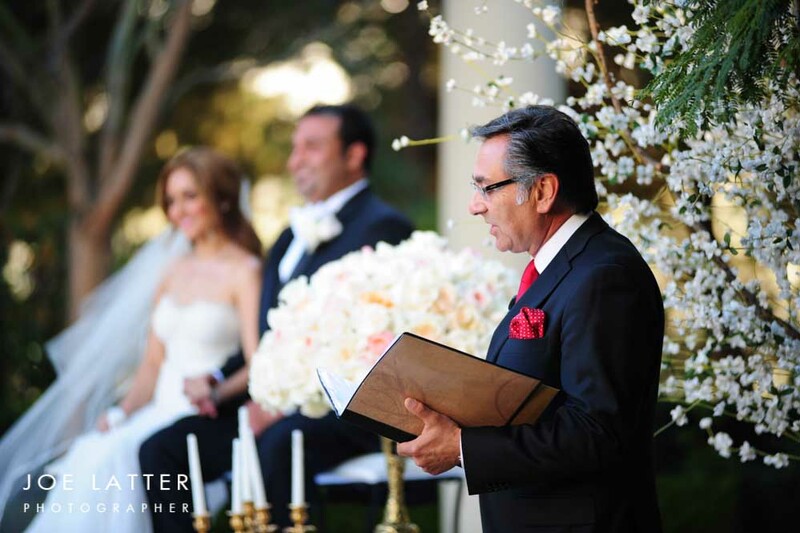 After researching many Wedding Officiants we called Mr. Mohtashami because we were impressed by his level of expertise when it came to incorporating both English and Farsi into the ceremony. 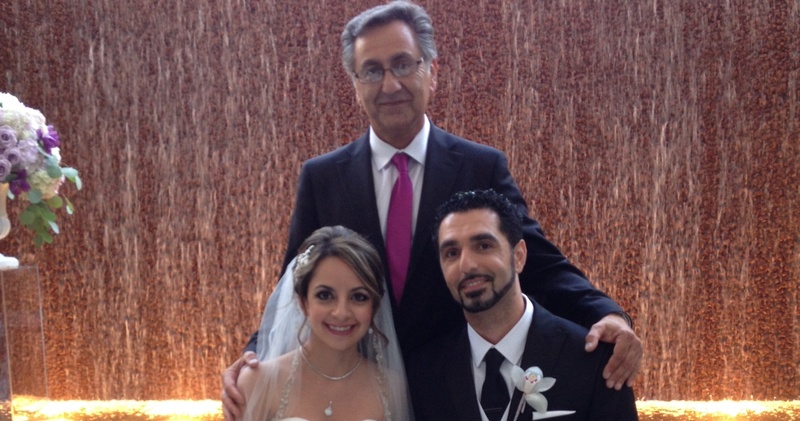 We met with Mr. Mohtashami and all of our worries and stresses about the ceremony instantly disappeared. 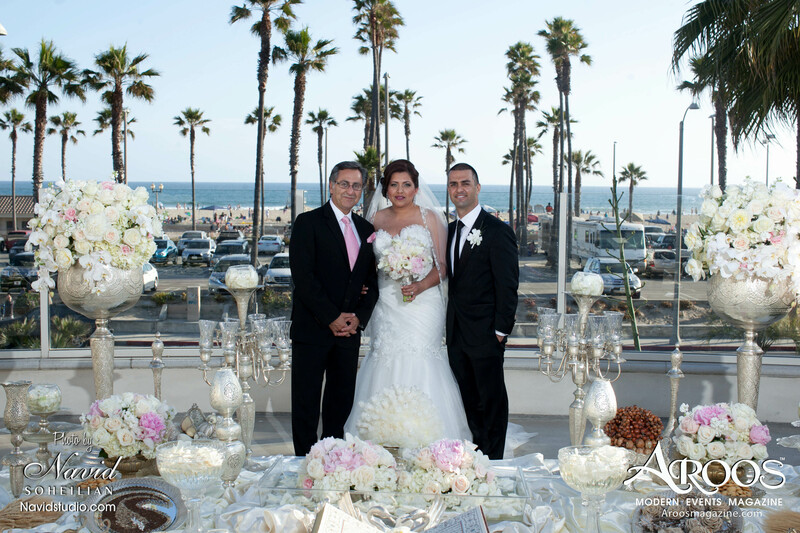 Mr. Mohtashami’s relaxing and encouraging personality was more than we could have asked for with all the other stresses of planning a wedding. 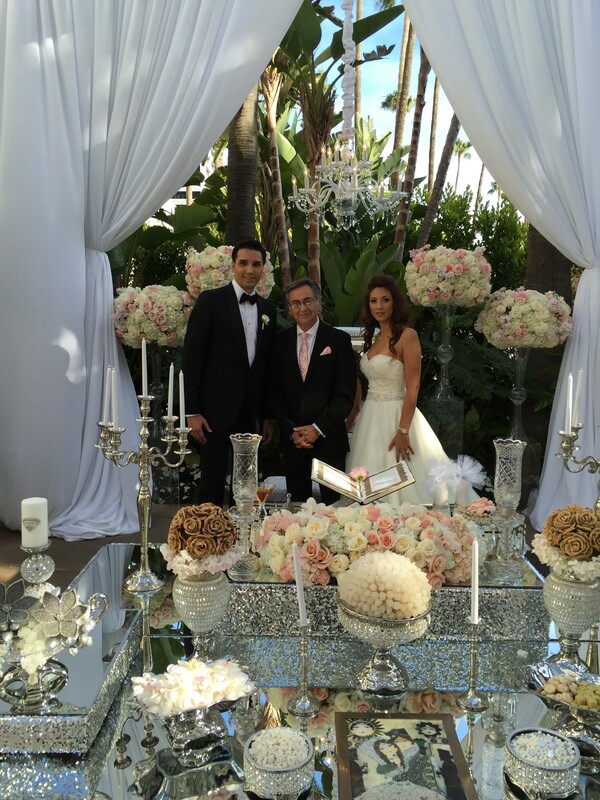 The ceremony itself was amazing and we were happy with the fact that it was customized for our needs. The poetry was beautiful and the translations and explanations were very thorough. 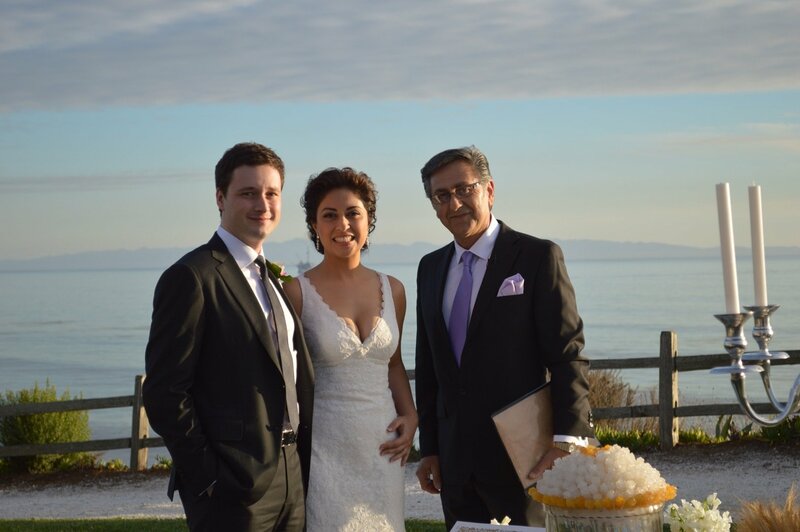 My wife’s non-Farsi speaking family complimented us on the beautiful and enlightening ceremony. 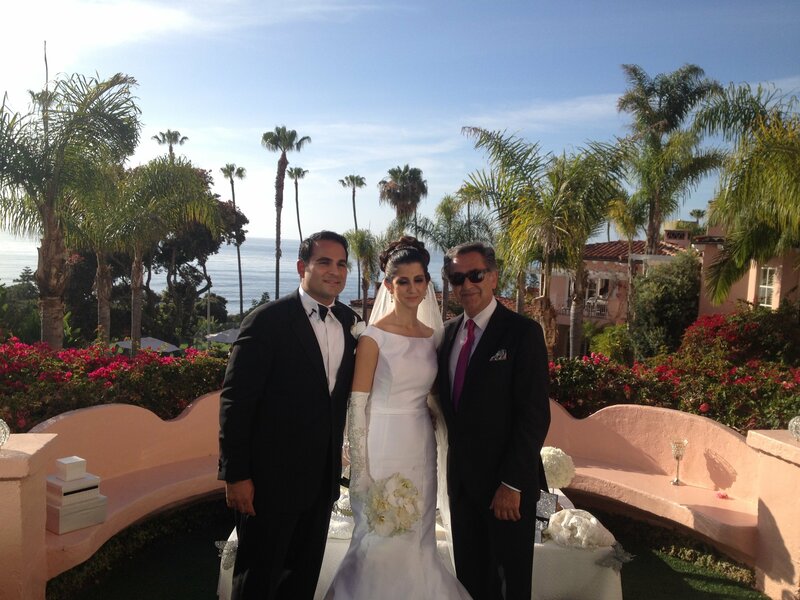 Also, my Iranian family who do not speak English commented on how beautiful Mr. Mohtashami’s words were. 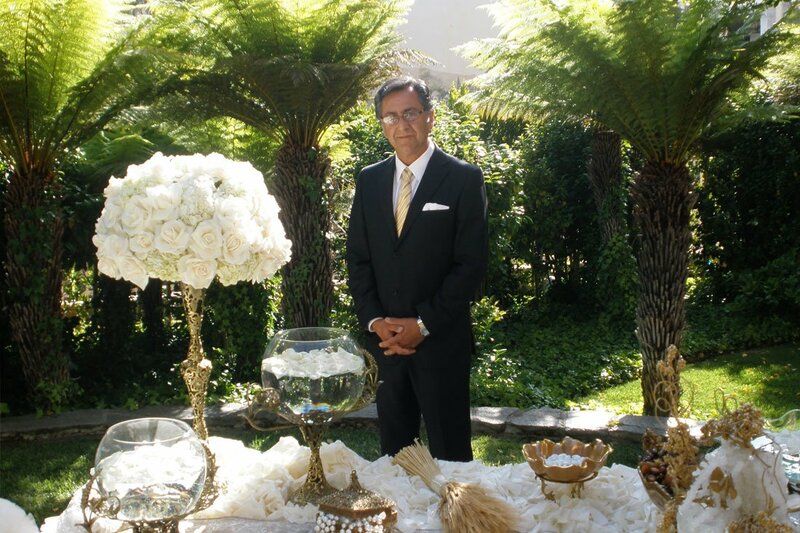 We would definitely recommend him for a beautiful ceremony. 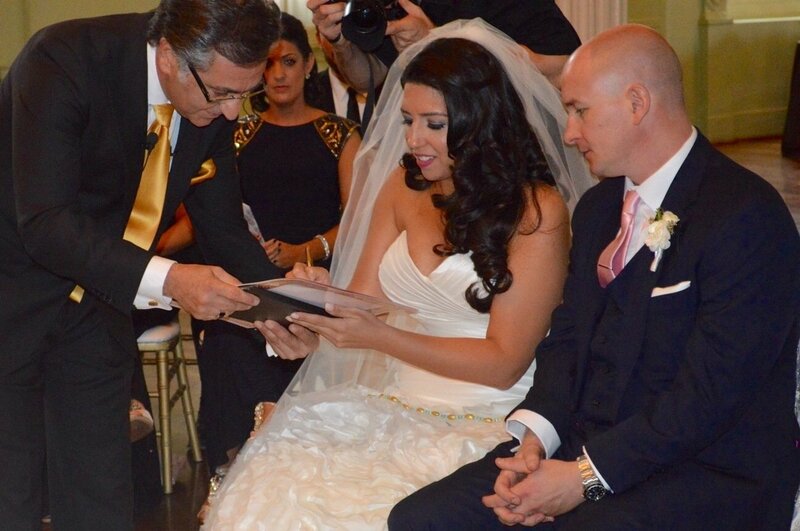 First off, I wanted to THANKKKK YOUUU personally for the amazing job you did at our wedding. We were so blessed to have someone with your talent performing our aghd. Your translations into English were absolutely perfect for my American Catholic side of the family! Everyone clearly understood and greatly enjoyed your words, prayers and songs. I appreciate all of your guidance and patience over the last few months and hope to be able to see you again very soon! You made our special day even more special! Sending lots of love from Turks and Caicos! day. You also took the time to explain everything in clear English, which our guests greatly appreciated. 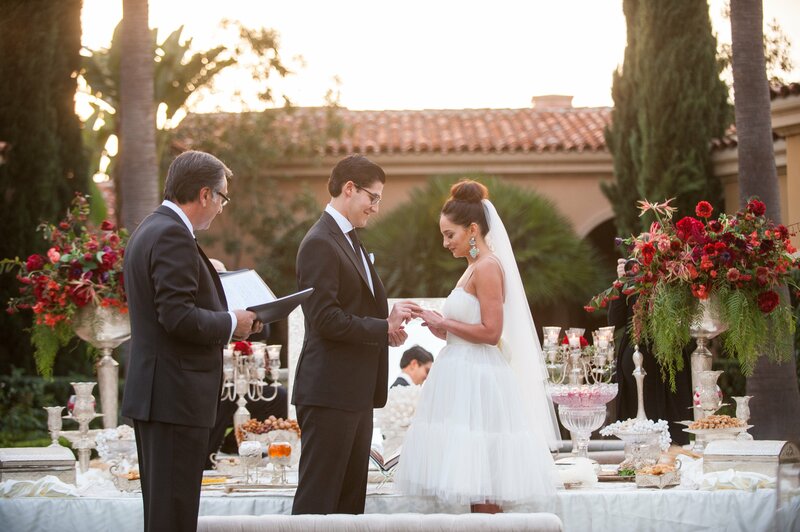 I felt like you were more than just an Officiant for us. You felt like family! I loved your sense of humor and your humbleness. 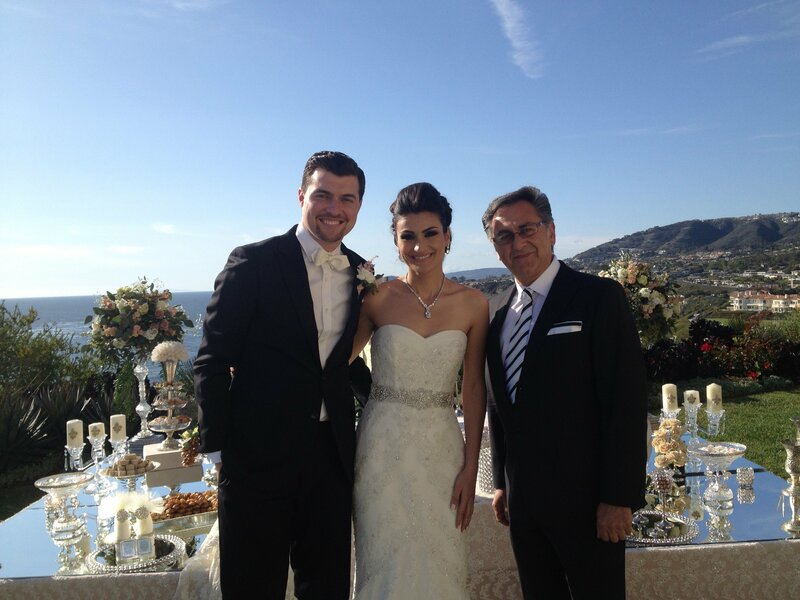 Again thank you from the bottom of our heart for all that you did to make our special day extra special. I'm so glad that we took a picture, which I will send you as soon as I receive from the Photographer. You receive a 5+++++++ out of 5 from us and are highly recommended. 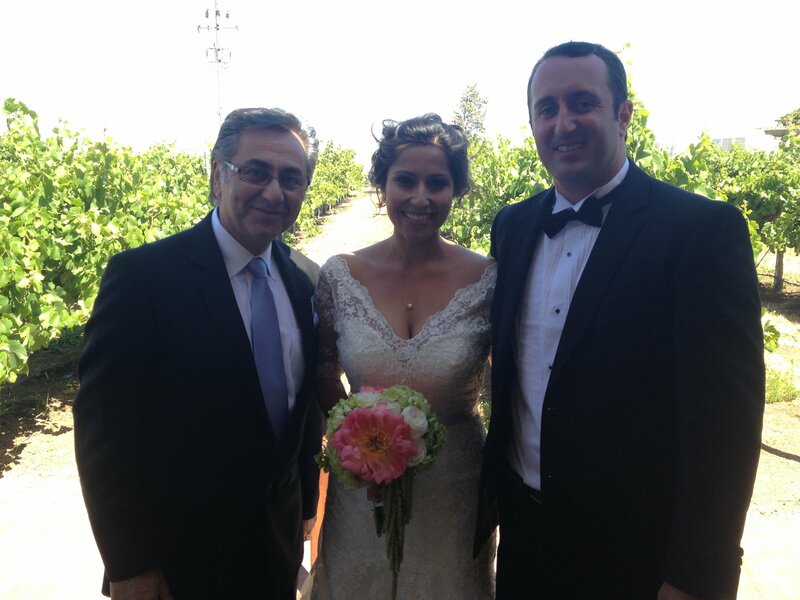 We were truly blessed to have Mr. Mohtashami as our wedding officiant. From the first time he took time to meet with us months before our wedding day we knew he was a perfect fit. 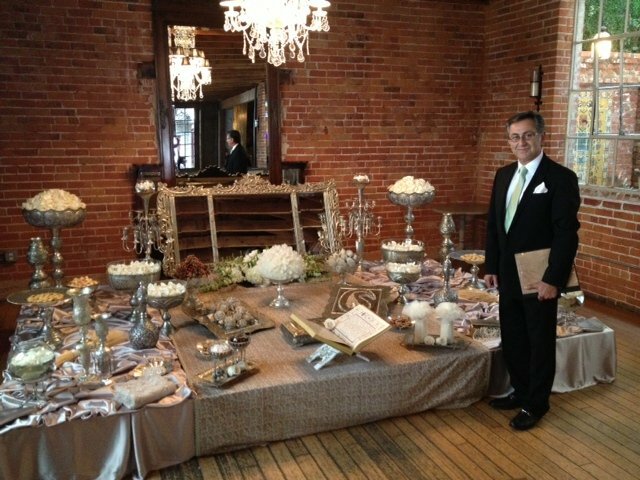 He was so helpful in getting us ready for our big day and was available whenever we had questions as the day approached. On the day of our wedding, he was calm, professional, and did a good job of capturing our entire wedding audience. 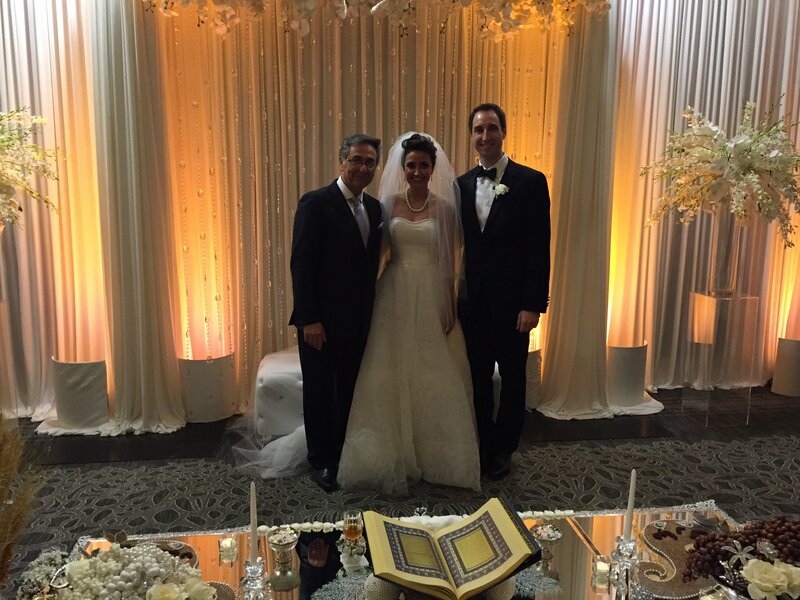 Mr. Mohtashami did a great job of keeping all of our guest engaged by intertwining his beautifully delivered recitations from some of the best selections of Persian poetry and his own personal thoughts and blessings in regards to marriage. 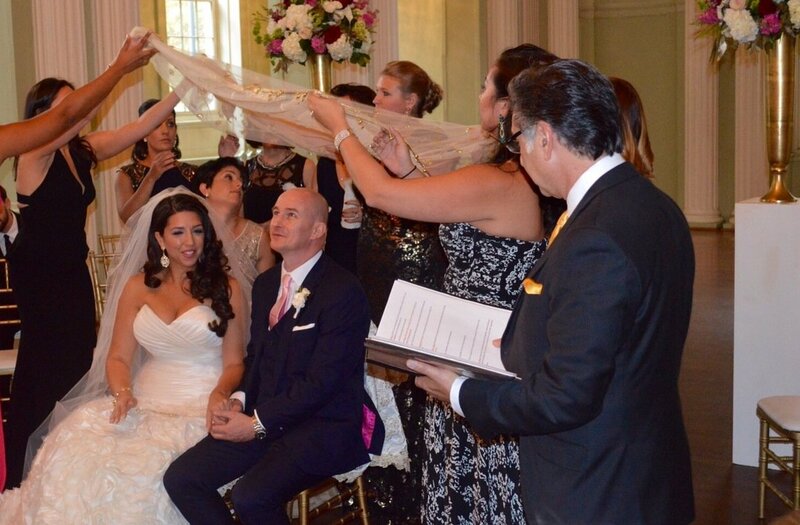 The aghd ceremony was really important to us and we wanted to make sure that we were able to capture the beauty of the sofreh but also have someone highlight its meaning for those that were not familiar. This is exactly what Mr. Mohtashami did by explaining the true meanings of the sofreh in English in a very short and sweet manner. We are so happy we made this decision and will always remember him as such a special part of such a special day for us. 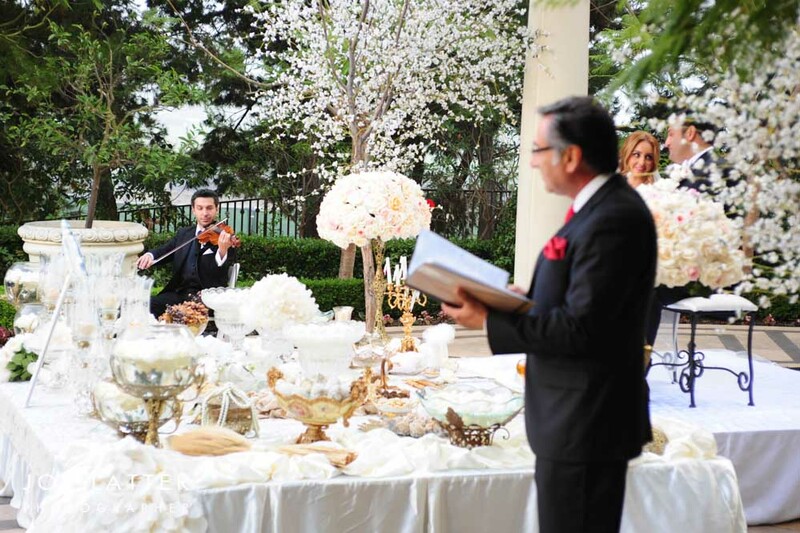 If anyone is planning on having a ceremony that engages the audience, captures the beauty of the Persian culture, and does it with his heart do not think twice about choosing Mr. Mohtashami! 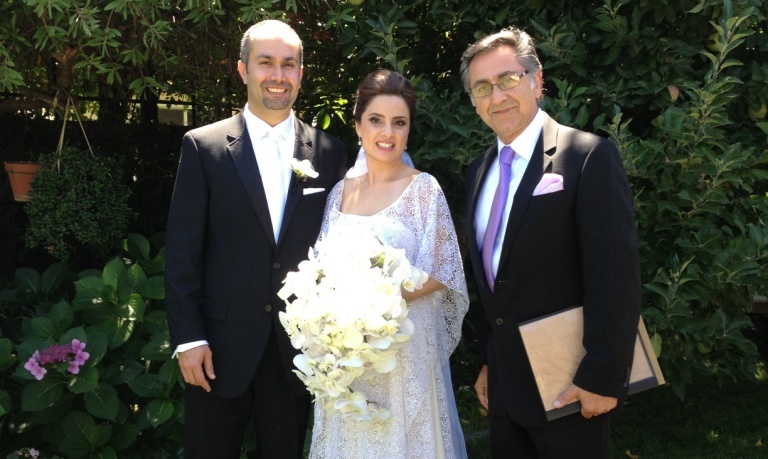 Dear Mr. Mohtashami: Tullio and I couldn't have asked for a better wedding officiant to kick off day one of our forever. 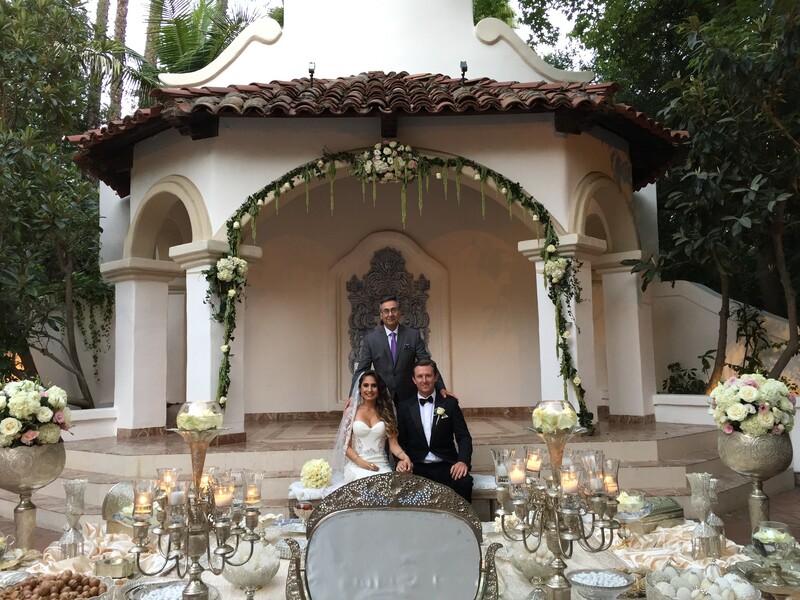 Since we knew your role would be the most important part of our ceremony, we searched hard to find someone that truly loved with every ounce of their existence and that showed when we met with you. From our first meeting with you, we were so blown away by your professionalism, great sense of humor, wonderful ideas, patience, kindness and passion for your field of work. We both felt that we made the best decision by hiring you and the more we met with you and exchanged ideas and emails, the more we knew that you fit into our story perfectly. You helped us create a brilliant mix of the Persian and Italian culture and your beautiful poems touched all of our hearts. A week has passed since you declared us husband and wife and friends and family are still calling us asking for your information and telling us how amazing you were. From your kindness to your intelligence, you truly made our day and experience so unforgettable. Thank you for working with us, for bringing our exact vision to life, for blessing us and creating the most magical day of our lives! Wishing you the best, always. 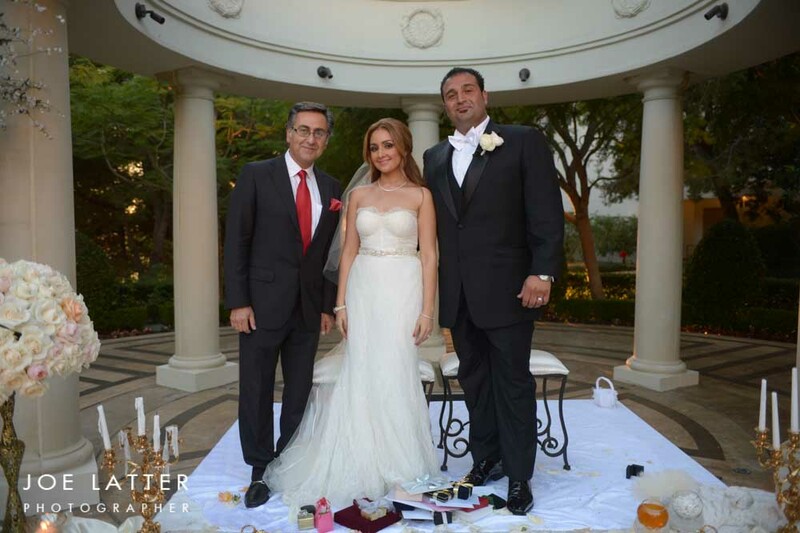 Gratefully, Mr. Morteza Mohtashami was the officiant at our wedding in May of 2017. 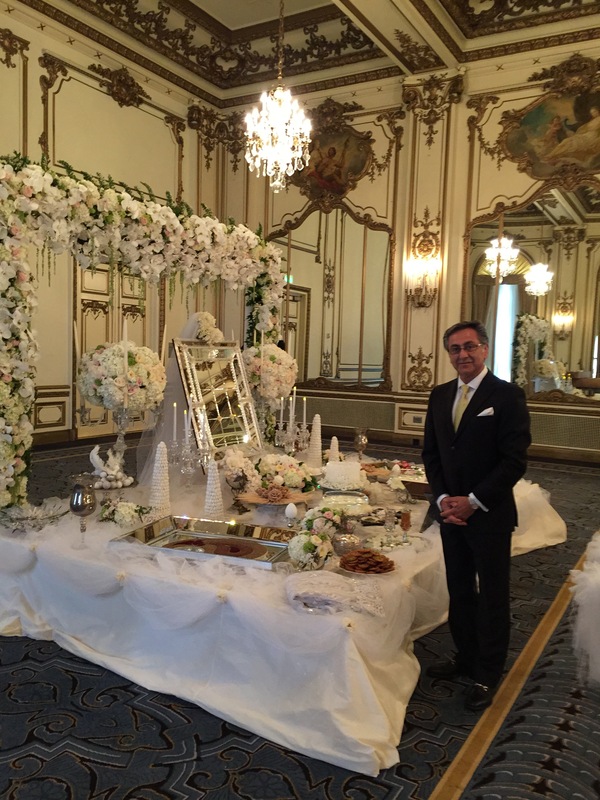 He graciously performed the ceremony through his well thought out speech in Farsi and English and engaged all of our Iranian and American guests equally. 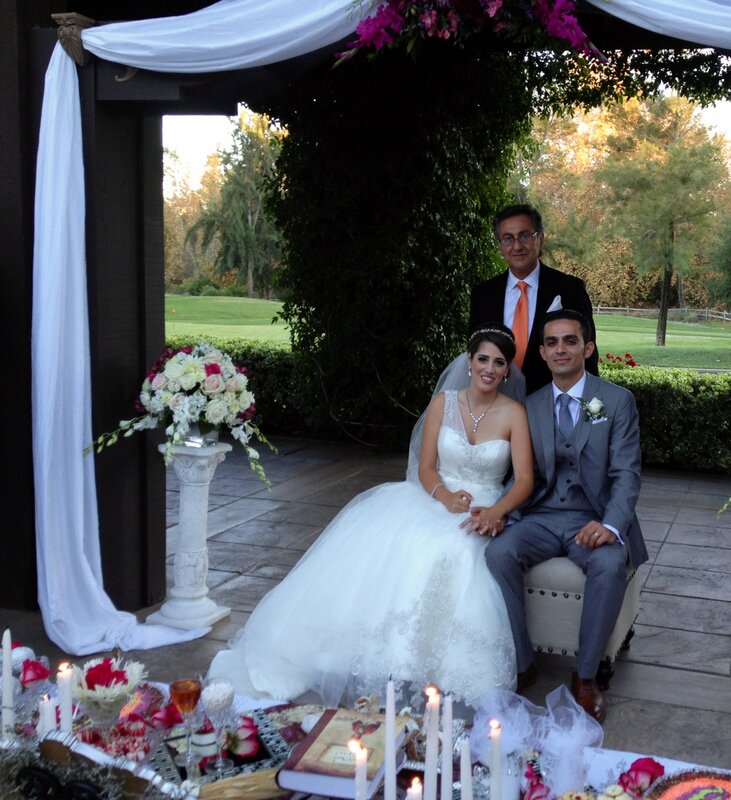 Everyone felt welcomed and was drawn in to Mr. Mohtashami’s speech through the ceremony. He was beyond ready and performed a flawless ceremony where we truly felt blessed to have had the opportunity to have such pure hearted person marry us. 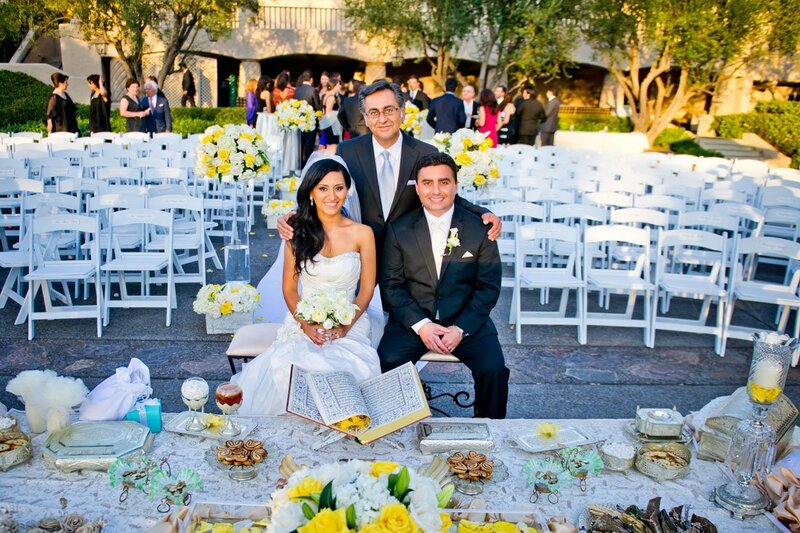 My husband and I could not have asked for a better officiant. Communications were clear from day one. He even spent time prior to the wedding day to meet with us and went through the entire ceremony to help us understand each step so we could be more comfortable on the wedding day. He’s definitely gifted, reliable, trust worthy, and very well spoken. We’ll be forever grateful for such an amazing experience. From the moment we met Mr mohtashami in person, his demeanors and the way he beautifully approached our union, we knew we were in good hands. 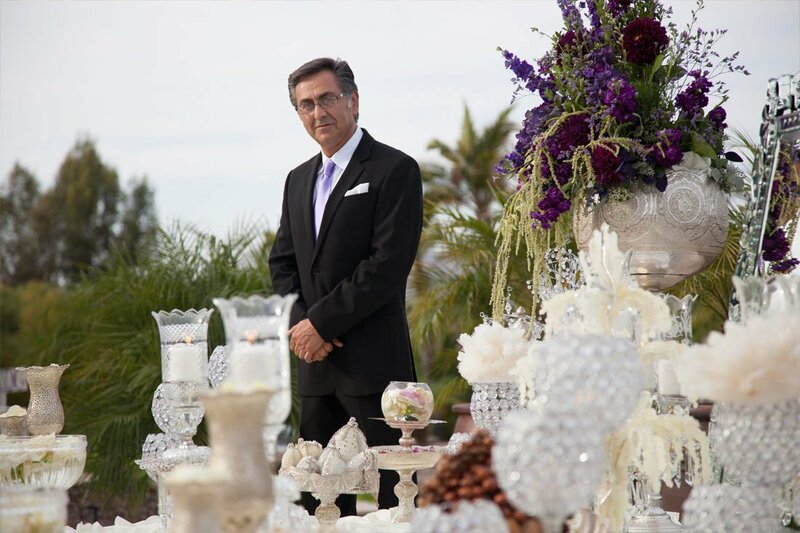 Mr mohtashami took the time to investigate and familiarize himself with me and my husbands history, how we met, our inspirations and WHAT MADE our hearts beat for each other,,, he also made sure to incorporate our style and the type of poetry and feel we wanted his words to bring to our guests. His "AHD-NAMEH" WHICH HE HAS PUT TOGETHER ELABORATELY, WAS BEYOND VALUABLE AND GAVE US A HOLIER SENSE OF OFFICIALITY. 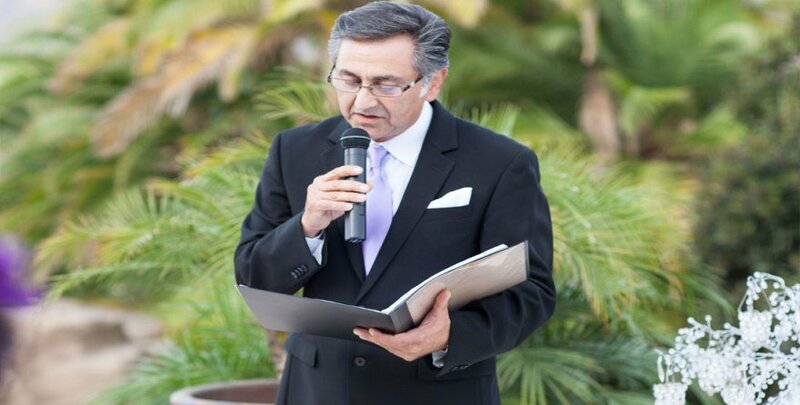 HE WAS ON TIME AND HE PUT TOGETHER A SPIRITUAL AND POETIC WORK OF ART AT OUR CEREMONY. 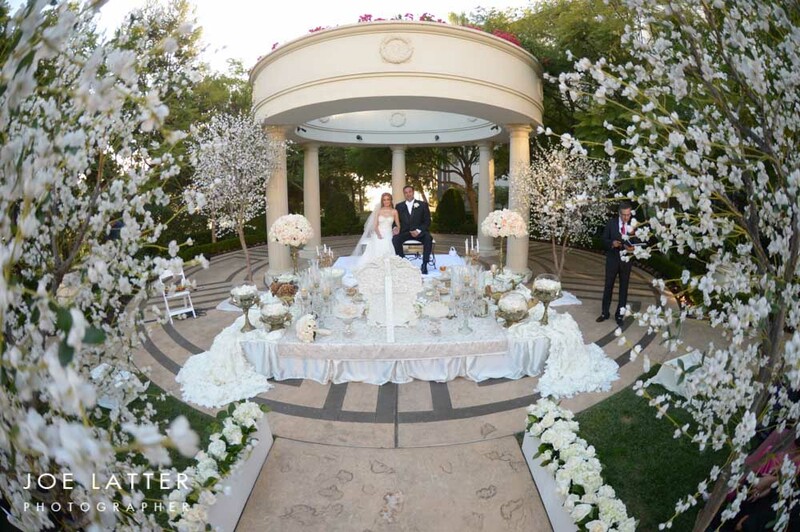 WE DEFINITELY RECOMMEND MR MOHTASHAMI TO ALL THE FUTURE BRIDES AND GROOMS. 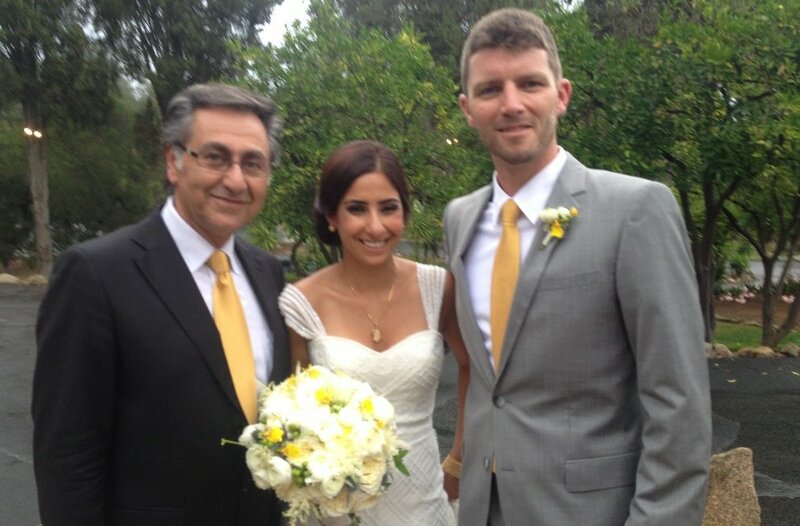 I wanted to send you a note to express how beautiful and eloquent your sofreh aghd ceremony at our wedding was. 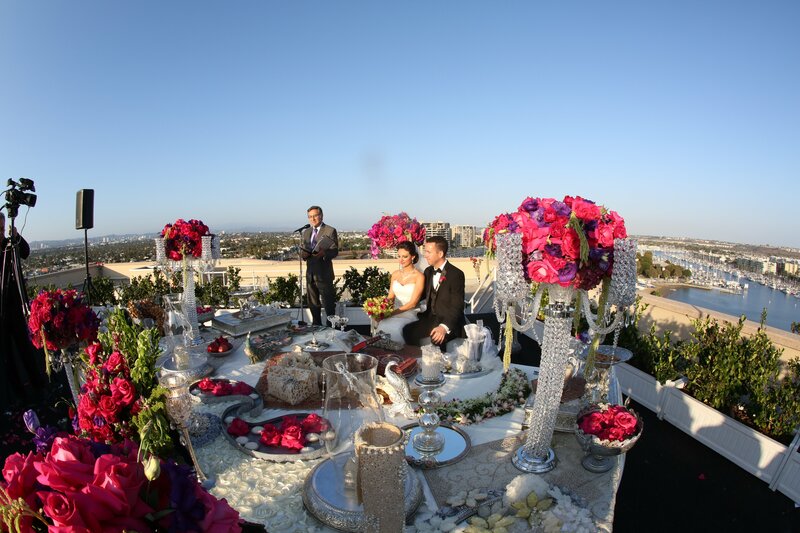 It truly made our day even more special and memorable for our guests. Everyone I spoke with expressed how touching and meaningful the ceremony and poems were. 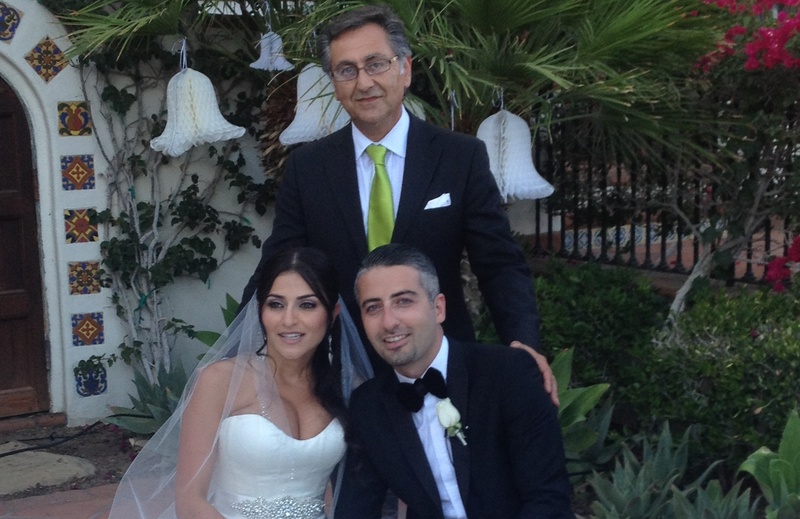 Most importantly, I wanted to express how special the Farsi translated portion of the ceremony was to me. There is nothing more beautiful than a Rumi poem recited in Farsi. It truly touched my heart. 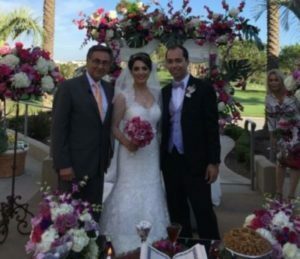 Thank you again for making the journey to Arizona to officiate our Sofreh Aghd.